 Docpool is a small contribution by James Young towards making designers and developers lives a little easier by sharing commonly used documentats such as contract templates, user questionnaires, invoice layouts and more. Got any docs you think would be useful to share with other designers, send them to docs@docpool.co and we'll get them onto the site asap. All documents on this website are provided as is and are submitted by fellow designers and developers to help give you something to base your own documents on. Docpool welcome submissions from all our creative peers but unfortunately, as I'm not a lawyer, I cannot make any claims to the legal validity of these documents should you ever rely on them in a dispute in court. As such, ALWAYS use these as a resource but if you intend on making them legally binding, speak with a lawyer first.